Pure self indulgence on my part. I love band samplers and always enjoy stitching them. 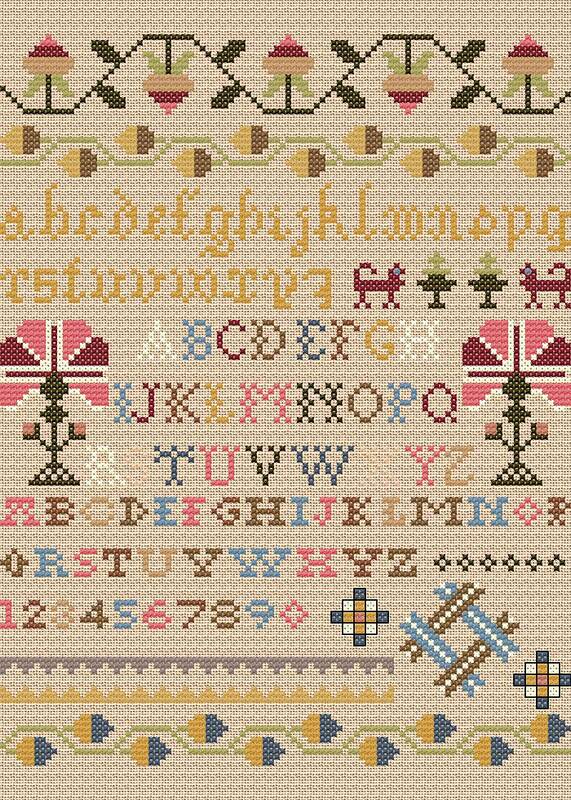 This is just a mixture of traditional sampler motifs and alphabets work in cross stitch. You may work this sampler on linen or Aida.